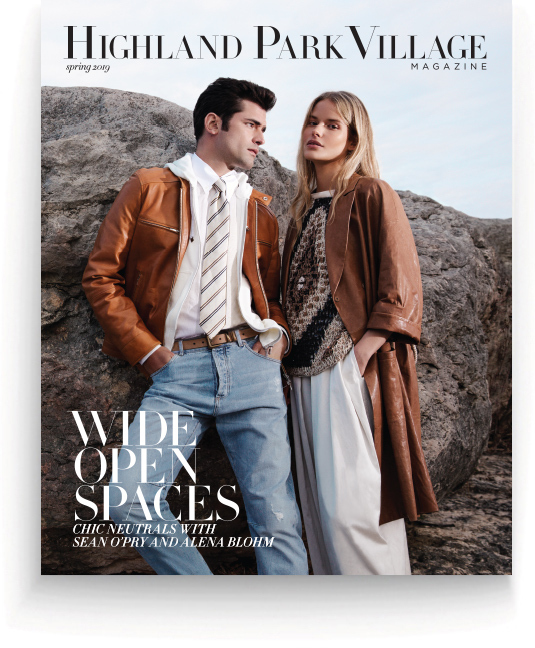 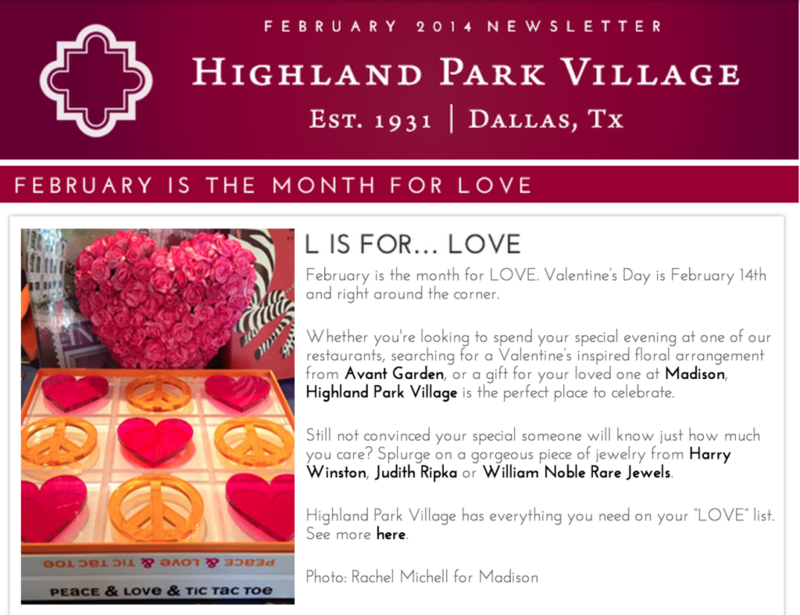 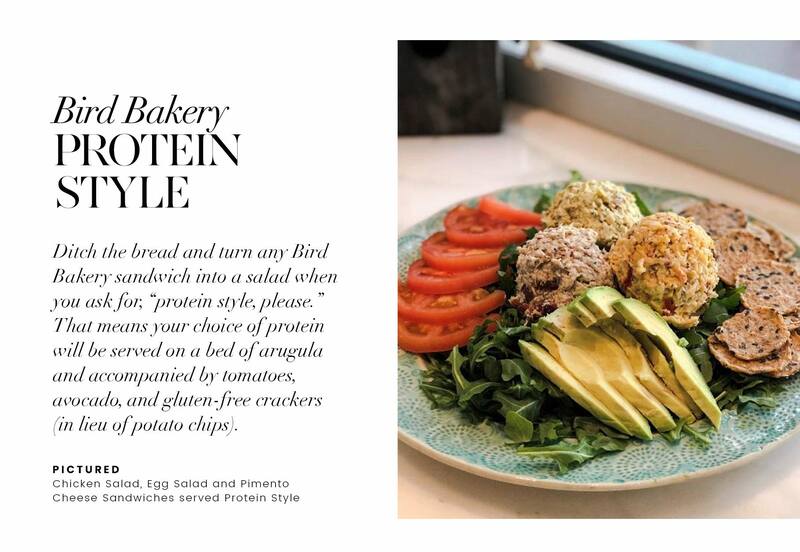 We’re thrilled to introduce our February 2014 Highland Park Village newsletter right in time for Valentine’s Day. 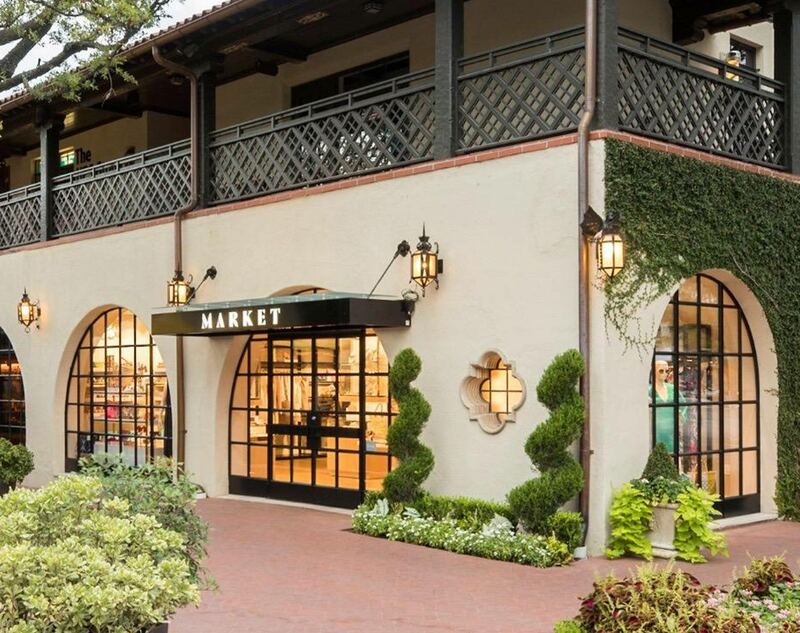 We have so many wonderful gift ideas to offer here at Highland Park Village this month. 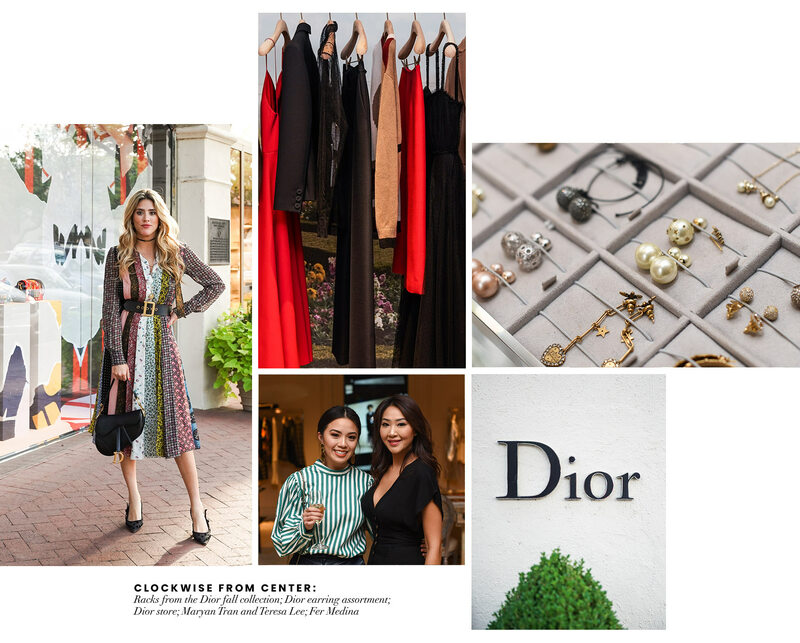 From designing your own bouquet at Avant Garden to picking out the perfect jewelry piece from Harry Winston, Judith Ripka, or William Noble Rare Jewels – you are certain to find the perfect sparkle for every jewelry box. 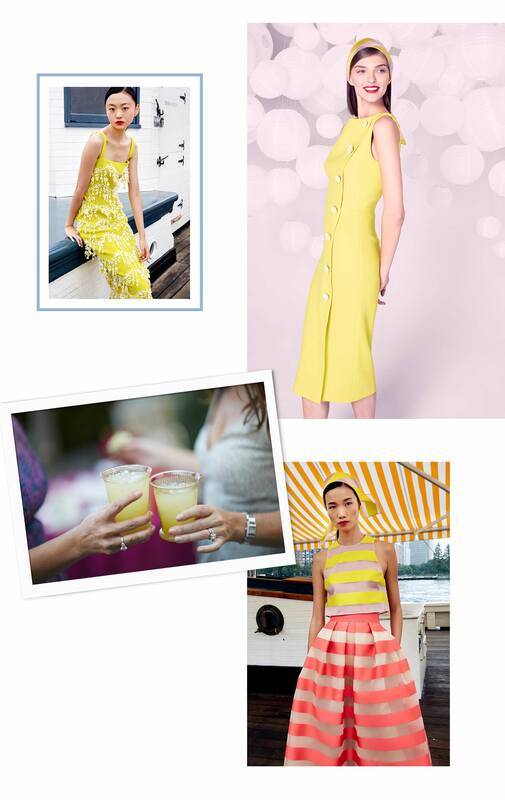 Shop new lingerie arrivals at Stella McCartney and elegant timepieces at Chanel. 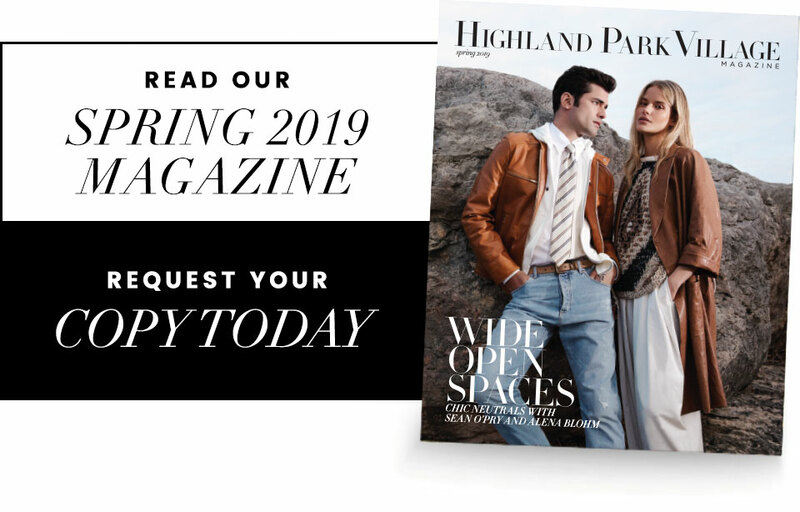 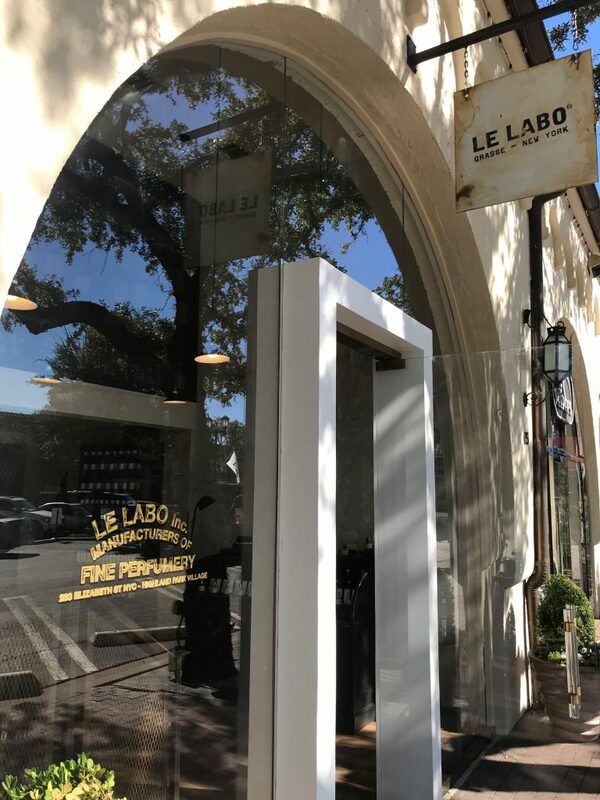 And, to receive the best offers from Highland Park Village every month, be sure to subscribe to our newsletter.